From your pet hamster's perspective, the tunnels and tubes inside his cage are a safe and cozy place to be. In the wild, hamsters build burrows that protect them and their hoarded food from predators. Chances are that if your hamster is spending most of his time inside the tubes in his cage then he is doing it because he feels safe there. It is impossible for your pet hamster to dig a deep burrow inside his cage but he may choose to use the tubes and tunnels you have given him to play in as a substitute burrow. He may go into the tube whenever he feels threatened or so that he can sleep without being bothered. He may stay in the tubes because he shy or the environment outside his cage is noisy and frightening. It is essential that you figure out why your hamster is hiding in his tubes before you try to encourage him to leave. You should never attempt to dump your hamster out of a tube or remove him forcefully unless your hamster is suffering from a significant medical need that your veterinarian absolutely must address. If you just brought your hamster home from a breeder or pet store, you need to give him some time to adjust to his new home. A frightened young hamster is probably going to want to hide for awhile before he gets brave enough to explore his new environment. You can help lure your hamster out of the tubes by placing food items a little ways away from the end of the tube so that he has to exit the tube in order to eat or drink. Make sure he has plenty of toys to explore when he leaves the tube. Remember that hamsters are nocturnal so he's going to do most of his exploring at night rather than during the day. Its important for you to remember that a hamster is a living, breathing being and not just a toy to entertain you or your kids. Hamsters are more likely to hide in a tube or other relatively inaccessible part of their cage if they don't like being handled or are trying to escape from a noisy, crowded environment. Moving your hamster's cage to small, relatively secluded area of the house may help encourage him to come out of his tube more often. 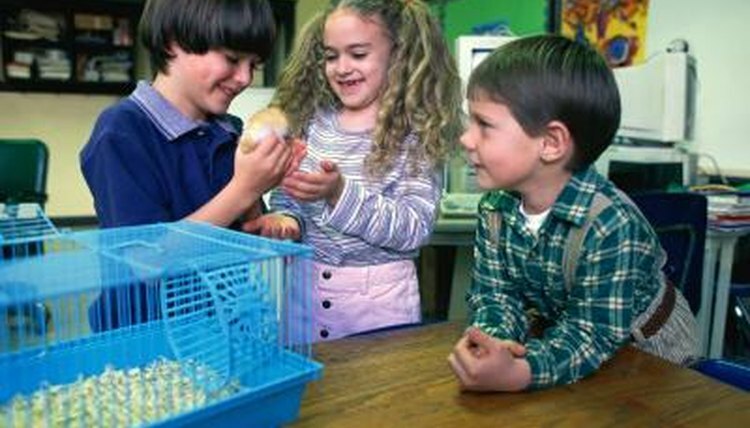 Limit the amount of stimulation around the cage and supervise any children that play with your hamster. Avoid waking him to interact with you, as waking a hamster up is almost guaranteed to make him grumpy and irritable. If you suspect your hamster is retreating into his tube to get away from you, leave him alone and wait for him to come out on his own before you attempt to interact with him. If your hamster is sick or injured and you need to take him to the veterinarian you may have to physically extract him from the tube. If possible, take the entire cage to the veterinarian's office with you rather than disturbing a sick animal. If you cannot move the cage and for some reason must only take the hamster then try to bribe him out of the tube using his favorite treats. If you cannot coerce him to leave the tube on his own, you may disconnect the tube from any other tubes or the cage and disassemble it. Most tubes come apart for cleaning. If your tube does not come apart, then gently tilt it to slide your hamster out. Be aware that you may be bitten while trying to remove your hamster from the tube. Never hit the tube or bang it against anything to try to frighten your hamster into leaving the tube.